Tax difficulties are the last thing anyone will wish to encounter during their retirement years. But with current rules regarding income calculation, expense deductions, and minimum withdrawals from retirement accounts, elderly individuals often make mistakes when it comes to filing taxes. A few months ago, Forbes published an article warning about individuals stashing too much of their finances into 401(k)s. The article states that the IRS may be targeting such individuals for audits. As such taxpayers are purportedly saving more than is allowable, the treasury department was supposedly suffering a shortage of money. The Treasury Inspector General for Tax Administrator (TIGTA) recommended education for IRS employees. There was also the suggestion of stepping up target audits for those with excess 401(k) deferrals. Such targeting would focus upon individuals with multiple 401(k)s.
There are numerous recommendations for saving on taxes during retirement. Google "taxes and retirement" and you will see dozens of articles on this specific topic. A recent Money magazine article, for example, gives seven pieces of advice. Unfortunately, such suggestions are often easier said than done. Many retirees have specific financial needs that will limit their financial options. Also, advice one finds online may not be accurate or could lead to misunderstandings. For example, few retirees understanding that failing to take minimum distributions from a retirement account leads to tax consequences. And there are also several tax deductions senior citizens may not know. 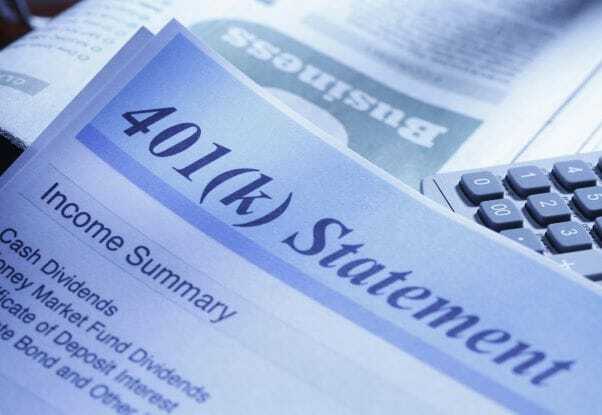 It is easy to make a mistake when entering information concerning 401(k) contributions on tax forms. It's possible to make an error due to a contribution appearing greater than it actually was. And discovering such an error could be difficult unless someone keeps a close eye on pay stubs and the amount of contributions. Missing a deadline only makes the situation worse. That excess contribution could become taxable income for the following year due to a missed filing deadline. We've said many times that tax considerations are essential when creating an estate plan that meets your needs. But understanding your options could require the skills and handling of an experienced estate planning attorney who understands the tax laws. Mistakes can be extremely costly for you and your family.